So what does origami have to do with engineering? That’s the question posed to girls ages 6 through 8 during this week’s Exciting Endeavors day camp hosted by Discovery Space of Central Pennsylvania. The half-day camp is designed to expose girls to career opportunities in science, technology, engineering and mathematics. 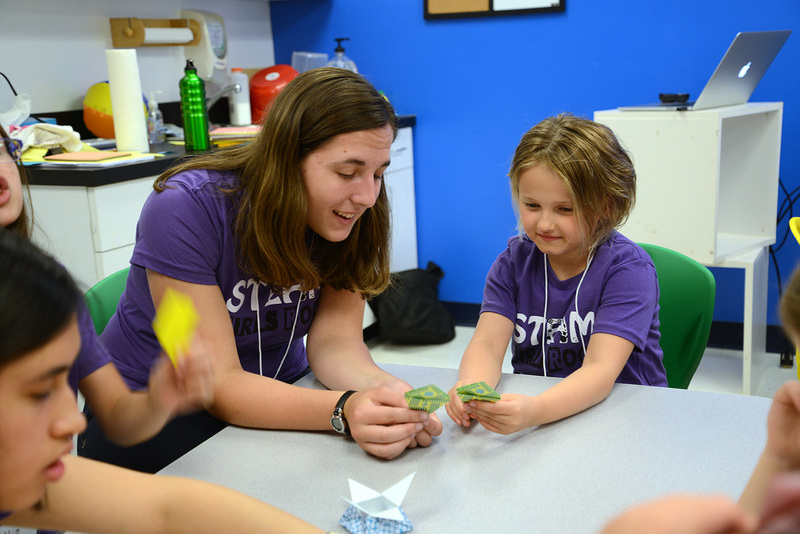 The camp’s unit on origami was led by Mary Frecker, professor of mechanical engineering, and Rebecca Strzelec, professor of visual arts at Penn State Altoona, with help from college and high school student volunteers. For the girls, it was an eye-opening lesson on the intersection of art and engineering. They learned how engineers use origami’s folding principles to design everything from stents that are inserted into the body to help open a blocked blood vessel to tires for Mars rovers that can greatly expand and contract, making it easier for the vehicle to explore planetary surfaces. The point, Frecker said, is to show the girls how engineers team with artists to solve problems and develop designs. Though engineers and doctors have been hard at work developing breakthroughs such as artificial limbs and therapies for spinal cord injuries, one of the greatest challenges is designing the neural interfaces themselves — the bridge between the body’s nervous system and the medical device. 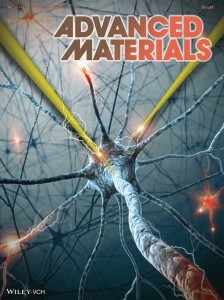 A paper reviewing the state of the art in biomaterials for neural interfaces is featured on the cover of the journal Advanced Materials. As part of this effort, a team of Penn State engineers underwent an exhaustive review of the current state of the art in the organic and inorganic biomaterials utilized in neural interfaces. The team’s paper looks at current microelectrode technologies, advancements in electroactive nanomaterials and the technical and scientific challenges in using nanomaterials to create long-lasting, functional neural interfaces. The authors include Pouria Fattahi, graduate student in chemical engineering; Guang Yang, graduate student in bioengineering; Gloria Kim, graduate student in bioengineering; and Mohammad Reza Abidian, assistant professor of biomedical engineering, materials science and chemistry. The result, “A Review of Organic and Inorganic Biomaterials for Neural Interfaces,” is the cover story in the latest issue of Advanced Materials, published on March 26. The Penn State team’s paper can be found online at: http://onlinelibrary.wiley.com/doi/10.1002/adma.201304496/abstract. One of the top talents in the field of origami, Robert Lang, visited Penn State today (Sept. 25) to check out some of the origami engineering projects in the College of Engineering. 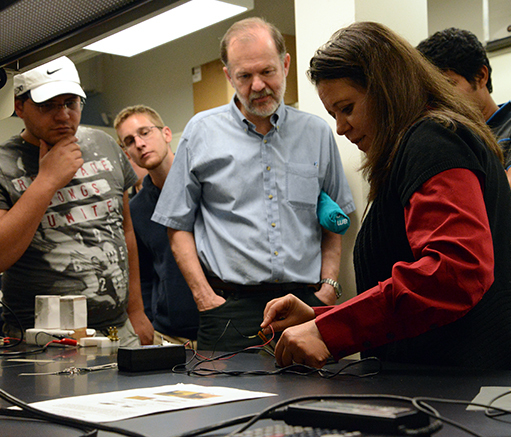 Students studying under engineering faculty members Mary Frecker, Timothy Simpson, Paris vonLockette and Zoubeida Ounaies demonstrated the active origami structures they’ve been developing in the Electroactive Material Characterization Laboratory in Reber Building. The students’ origami structures, such as a dielectric elastomer actuator, actively fold and unfold in response to multiple fields. Penn State received a four-year, $2 million grant in August 2012 from the National Science Foundation to investigate origami design methods. The work, headed by Frecker and including Simpson, vonLockette and Ounaies, seeks to develop active origami structures for use in applications in minimally invasive surgery, adaptive aircraft structures, reconfigurable robots and deployable space structures. Lang was on campus to deliver a talk to the Department of Mathematics. More on his work can be found on his website.